Papa White Hair and Grandma J visited us over Christmas! Seeing their faces at the airport was the beginning of many, "man this is awesome!" moments during the week. One of the days we visited an active volcano (pictured to the left). During our time a the National Park we were able to do some hiking which was a true highlight for these Colorado Ferry's living in Costa Rica! Reese added in an extra measure of fun with her hiking-wresting hybrid. Back at home in San Jose we spent Christmas Eve making 6 pies, black bean brownies for Santa (yes, you read that right...), a birthday cake for Jesus, graham cracker gingerbread houses, poinsettia centerpieces from egg cartons and coffee filters, and egg carton Christmas trees. We were super crafty and enjoyed time together chatting, laughing and creating. Another day during Christmas break we visited the Doka Coffee Estate. We learned that Doka exports 80% of its coffee to Starbucks! It was a big day as Georgia and Reese tasted coffee for the 1st time. Chris and I are so proud being HUGE coffee drinkers ourselves. I'm not sure they'll be drinking it daily but we rest at night knowing we have at least paved the path for them to enrich their life with the magic bean of COFFEE!!!! We take our parental duties very seriously. Chris and Bob took time together to chat and catch up. Bob's constant presence in his son's life has been a great stabilizing factor and Chris is grateful for his continued presence as we life abroad. 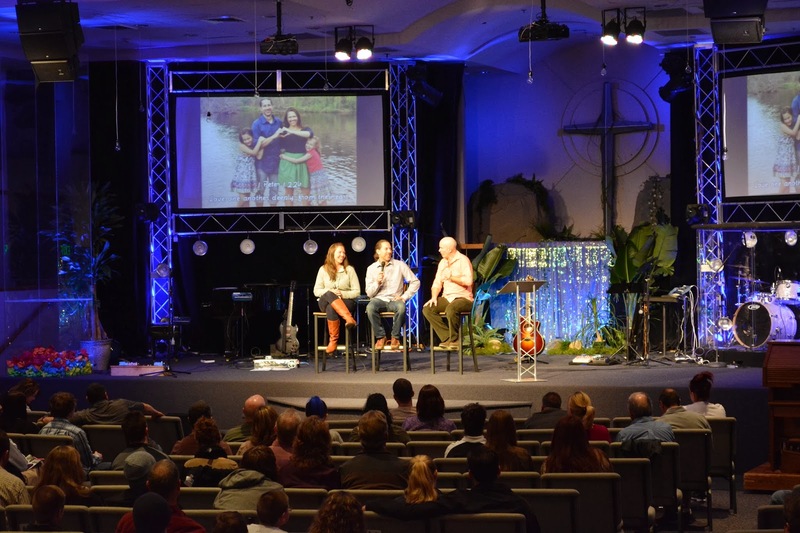 We praise God that Bob and Judy were able to come and share in the Costa Rica phase of our journey towards Ecuador. Tina spent much of the Christmas break in the kitchen cooking three meals a day for our family and visitors. Now before you say, "Poor Tina!" remember that cooking is one of her favorite hobbies. So, this time was spent in great joy and having Grandma J do all the dishes made it all the sweeter!! In the end, Christmas week was a sweet time of family and celebration. Although we didn't have a "real tree" or snow or all of our family and friends present the Reason for the Season remained. Jesus. The Greatest Gift of All. We enjoyed celebrating His birth in new and different ways this year in Costa Rica. This year we had carrot and pineapple birthday cake adorned with our homemade poinsettia centerpieces... Feliz Navidad from Costa Rica! 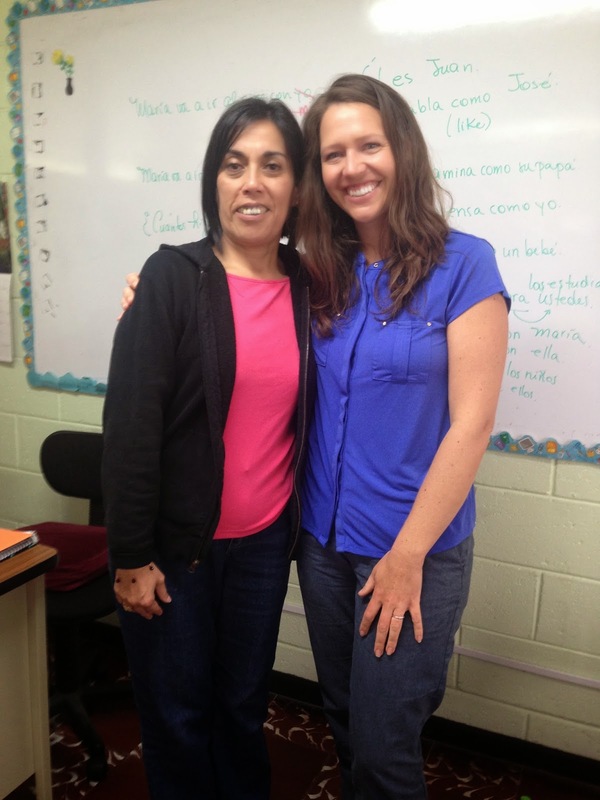 Trimester 1 of our 3 trimester year of language learning is complete!! We've included pictures of Tina standing with each of our teachers (we had the same 3 teachers but different class schedules). This trimester was full of mistakes, progress, patience, growth, frustration, sleeplessness, hope, victory and so much more! We learned to "trust the process", to persevere and have faith in God's character and strength even if we grow tired and weary. God blessed us this trimester with teachers who seek to please God with their work. Each of them view their work as an opportunity to equip missionaries to share the love and grace of God with all of Latin America. Their patience, heart and consistent presence were a huge gift and stabilizer during this stretching time. Shortly after our trimester ended Chris made his way to Nicaragua to renew his tourist visa. This trip was made with two other Chris'. Just imagine all the jokes told about 3 Chris' headed to the border. They were truly endless! The three Chris' spent over 16 hours on a public bus, 4 of which were spent waiting at the border for clearance. Chris (Ferry) specifically begrudged the bus music-soundtrack of Celine Dion. He made jokes about a new form of torture - bus border crossings with Celine Dion...a recipe to make any guilty party confess on the spot! 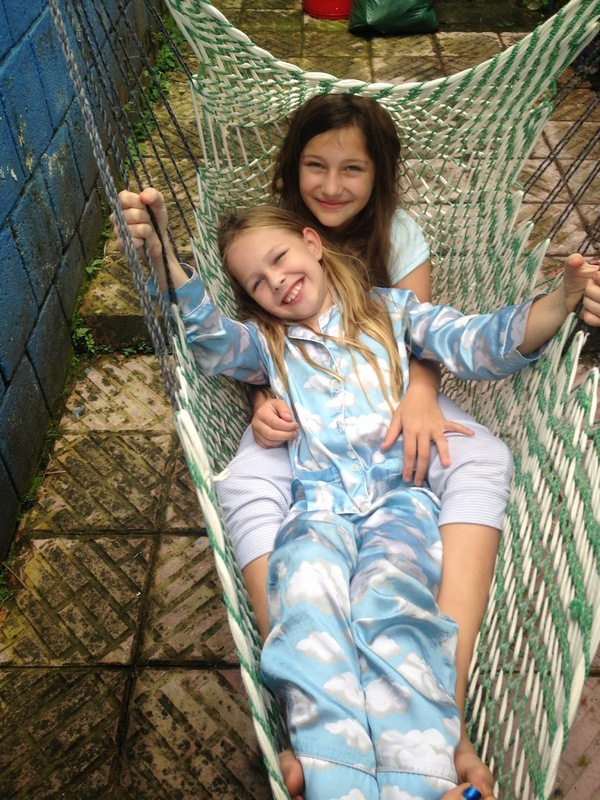 While Chris was in Nicaragua the girls and I enjoyed a quiet girls-only weekend. We read books, snuggled, played chase, cards and more. This was a sweet time for us but we were very glad to have Daddy back home!! As a gift, we promised him no Celine Dion music for the next year. Turkey Fruit, Meat and Time With Grandparents Can't Be Beat! Thanksgiving has been "tropicalized" in the Ferry house! It's been such fun to tweak some of our home traditions and adapt them to our new environment. Also, it was a great opportunity to use Spanish when trying to explain to the deli counter employee that you are making a turkey out of fruit and cubed cheese and lunch meat. Lots of laughter, side stepping, back stepping and in the end... Turkey Fruit!! Each of the girls were able to share their tropical turkeys with their class and kicked off our tropical Thanksgiving of 2014. 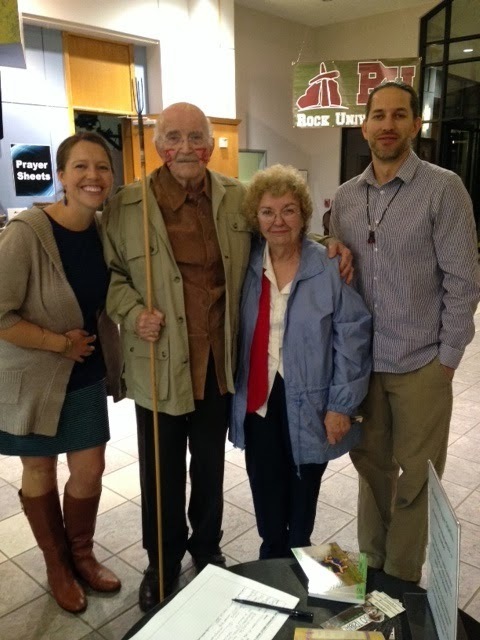 We were also incredibly thankful to have Papa Whiskers and Grandma Ibsen visit from Colorado. They came bearing gifts of toothpaste (we have a couple picky toothpaste users! ), packages sent by churches, friends and so much more. It was like an early Christmas. Mostly, however, our most cherished moments were the ones spent snuggling, chatting, laughing and updating on the normal ins-and-outs of every day life here in Costa Rica and in Colorado. Here in Costa Rica they are all about their fireworks (or, bombas, as Costa Ricans call them). They are also all about their street parades! For their "Dia De Independecia" -- Independence Day -- schools each host their own street parade to celebrate. The kids make homemade lanterns, the school band plays loudly (with an emphasis on the drums!) and police block off neighborhood streets for the march. Our girlies participated in this and loved the experience. We used our recycling pile to construct lanterns and marched with the best of them! This was all such a welcome cultural experience until we encountered the "dark" side of their firework and parade love and admiration. Imagine this... It's early Saturday morning. You are fading in and out of glorious sleep; so thankful that after a long week of early mornings and brain-twisting language learning you have the opportunity to sleep past 5:30am and listen to the yellow-bellied birds chirp on the line outside your window as you casually sip your second cup of coffee. Sounds nice, right? Well that's not how it works. NOPE!!!! Here's the truth -- It's early Saturday morning; about 4:30am. You are fading in and out of glorious sleep when --- BOOM!!! --- Your eyes burst open, your heart beats quickly. You ask yourself, "Self? Are we in Kuwait in the 90's or Costa Rica in 2014?" Then it hits you. You're not under attack...the Costa Rican's are setting off Bomba's at 4:30am in celebration of St. Francis. Then, suddenly --- BOOM!!!! --- and then it really starts. The band, the horns, the drums that really like to express themselves and stand out among their fellow instruments! Sleep is out of the question. The school of culture doesn't close it's doors for a Saturday and Sunday break. Our lesson was at 4:30am on a Saturday morning and it's one we will never forget!! 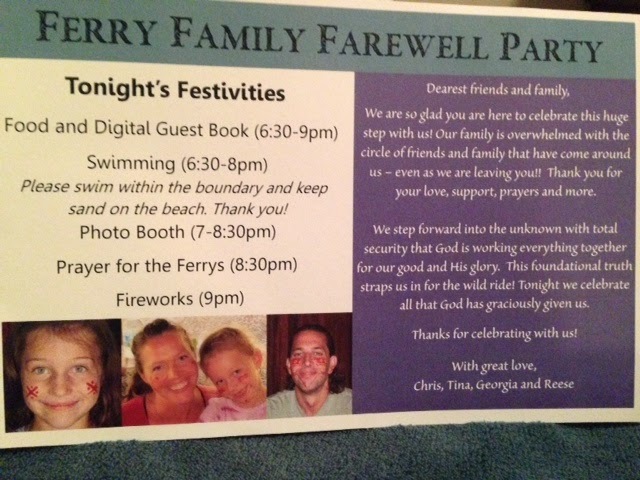 Last night we said "Farewell" to many of our most beloved people. We leave the U.S. in 14 days and Tina's parents were very gracious to host a going away party for us. It was a super sweet time of chatting, laughing, hugging and a little bit of crying. Our hearts were overwhelmed with the unbelievably full life God has given us in CO and we trust He will bring another amazing community around us wherever we go. We wrote a little note to our guests and thought you would enjoy reading it again (or for the first time!). Today we go to The Rock to say farewell to one of the most AMAZING sending churches. Please pray that we can continue to be a blessing to them as they continue to be a blessing to us. As Bruce (the Senior Pastor) always says, "We are blessed to be a blessing!" and "The gospel was birthed in sacrifice and so it must be lived out in sacrifice." We gladly walk in these two truths...together! 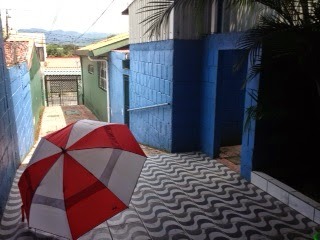 Our Costa Rica Home Entrance -- A nice place for the girls to play!! 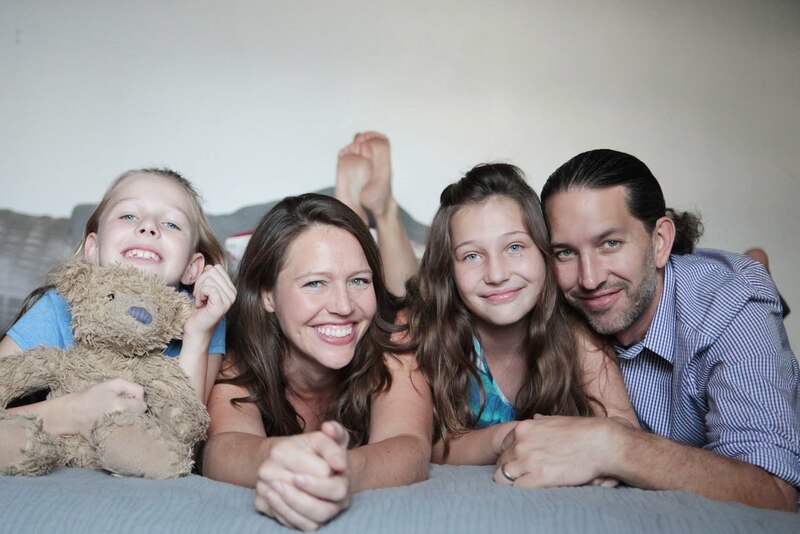 As of late we have had many discussions as a family about home. Questions include - "Where is home now?" "Will Colorado always be our 'real home'?" "What will our home in Ecuador be like....exactly?" Some of these questions can be answered and some cannot. We've focused on the foundational truths of our lives. God orchestrates things for our good. He is Good. We will get to see God's glory and bring Him glory as we surrender more and more to Him. Huge concepts that even Georgia and Reese are beginning to grasp and stand on in a practical daily sense. SOOOOOO AWESOME to see as a parent! We can answer some of these questions. Yay!! 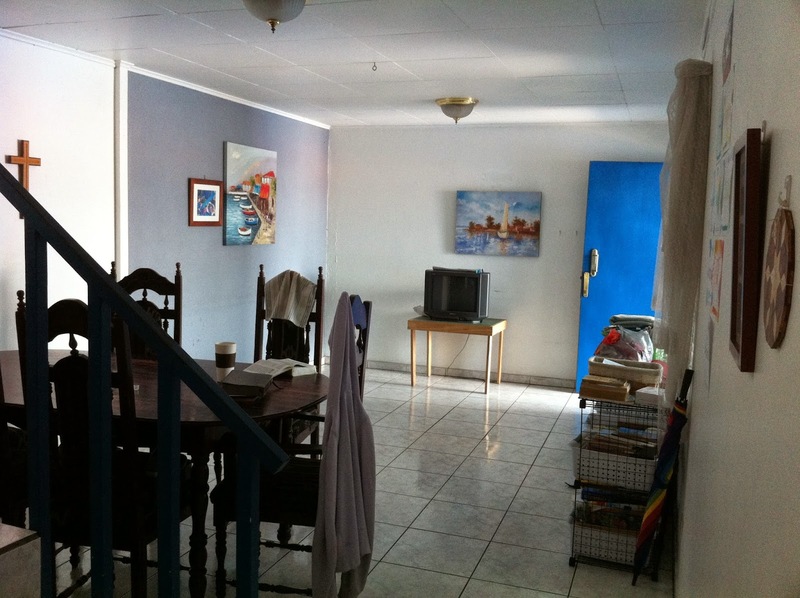 We have a rental house in Costa Rica for one year. It is bright blue (the girls love this!) and walking distance from our language school. We thought you'd like to see pictures... The girls get all giggly when we look at the pictures and have visions of playing in the rain and swinging in a hammock on our patio. I'm looking forward to cooking with local ingredients and washing laundry in my "open-air" laundry room ;) Chris, will probably most enjoy having three settled (more-settled???) women in his life. 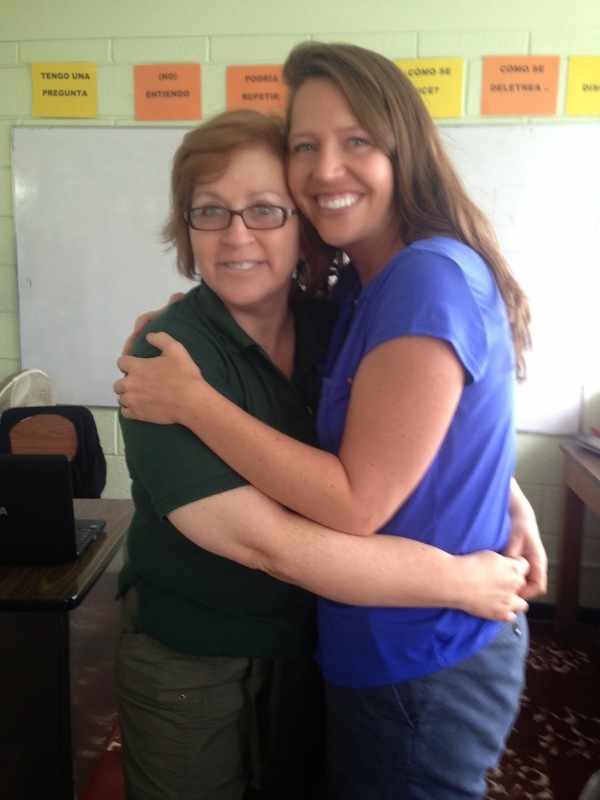 Home is wherever God places us and we are excited to be in this Costa Rican home for a year! We are so excited to be heading out to Quito, Ecuador tomorrow. This will be our first trip without the girls and this has proven to be difficult! However, we are resting in God's work in and through us as a family -- both in the U.S. with Georgia and Reese and in South America with Chris and I. It's so fun to serve a God who wants good for us. We can rest in his character and plan. This coming weekend is extra exciting! Tina has an opportunity to share with a group of indigenous, national and western women in the pre-conference meetings. Please pray with us that the Lord is glorified and that the ladies are unified and empowered to live abundant lives in Christ! Chris will be attending important pre-meetings with many key leaders -- South American nationals, indigenous and foreign. May God be glorified as the Body of Christ comes together for His purposes! 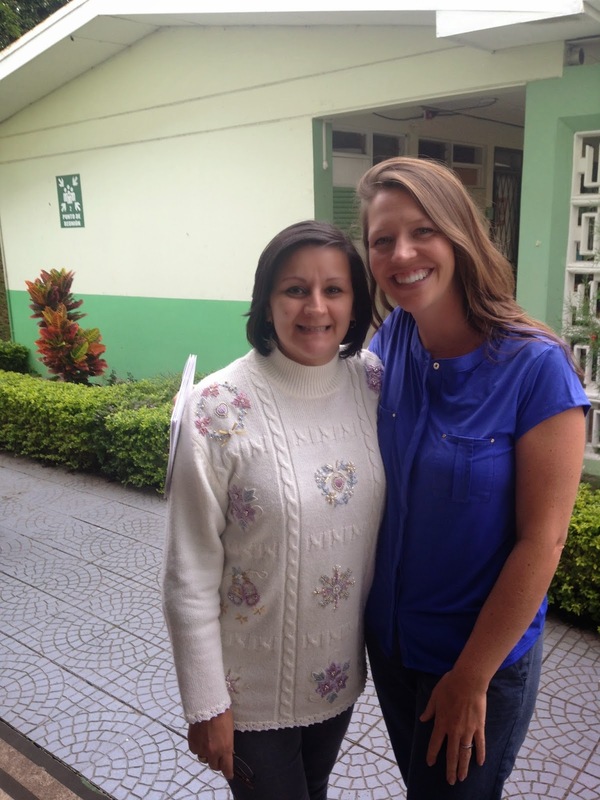 Additionally, we are so pleased to share that Tina's parents will be joining us on this trip to Ecuador. They are so excited to meet so many of our ministry partners and to "catch the vision" of what God is doing in the Amazon and Lowland Regions of South America. We are pleased as punch to be able to share the upcoming 11 days with them. Yay! Now to finish packing and get some sleep before our 4am wakeup call. As always, it's a pleasure to journey with so many amazing people by our side. Truly. Funded at 35% at year's end, 65% to go! We attended a prayer meeting this last Monday that was unexpectedly filled with people from our past who pray and support missionaries. This was a great reminder of how God orchestrates all things! WOW (kid's program at The Rock-our sending church) is highlighting us as missionaries during their annual mission series this month. We are enjoying the opportunity to share with the kids and help them catch the vision for the adventure of God's leadership in their lives. As we look at the year ahead, we continue to meditate on our family's theme verse: 1 Peter 1:22b "Love one another deeply, from the heart." We are learning to love others at every opportunity as we share the vision of our ministry. Thus far, it has been a great joy to tell the stories of God's faithful leadership in our lives. We pray the testimony of our lives, even in partnership development, challenges others to trust God's loving character and stand firmly on this as they strive to love others deeply in their daily lives.